2016 is the year when we were supposed to have jetpacks and flying cars. Instead, we got smartwatches, the supposed new category, a beginning of a new niche that has started to form. Some devices, however, do stand out in the crowds. The elephant in the room is, of course, the Apple Watch. The smartwatch has seen a lukewarm reception and it is only compatible with the iPhone, but with a rich app ecosystem, an appealing design and accurate fitness monitoring and pulse meter it is one of the best out there. Luckily, it's not the only one: Samsung has a great alternative with the Gear series. At the end of 2016, though, it seems that Android Wear is gearing up for some huge changes as it seems to be a less and less popular option. 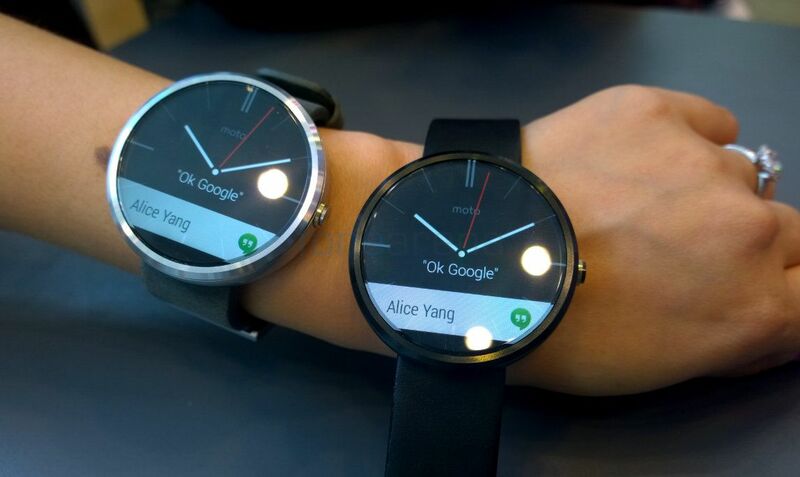 Rumors say that Google is gearing up to revive the Android Wear platform with brand new watches early next year. Still, there are some well-built timepieces from various manufacturers, so the platform is not dead by any means. Then, there are others: traditional watches with smart features, different platforms like the Pebble and so on. We've looked carefully at all options and have picked the best smartwatches you can buy right now, at the end of 2016. What's your favorite? 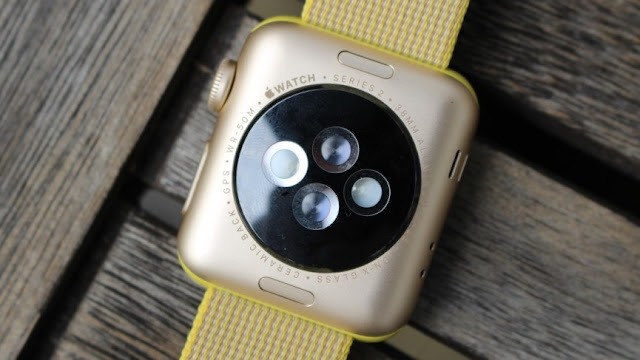 The Apple Watch is currently the most successful and most popular smartwatch out there: the newer series 2 brings water-protection, a brighter display and a built-in GPS. It is also faster thanks to a new chip, but also because of Apple's work on making the software run faster, and this speed improvement also comes to the Series 1 Apple Watch, which is a $100 more affordable. The huge change that a year and a half brought to the Apple Watch shows clearly that it's not a device that will stay the same throughout decades as a traditional watch does. With the pace of change in technology that is probably impossible, but what it does show is that Apple is committed to improving this platform and making it better. With a renewed focus on fitness and health, and on quicker actions on the watch, the Apple Watch is still not a necessity, but it's one of the nicer bonuses that you can treat yourself to. 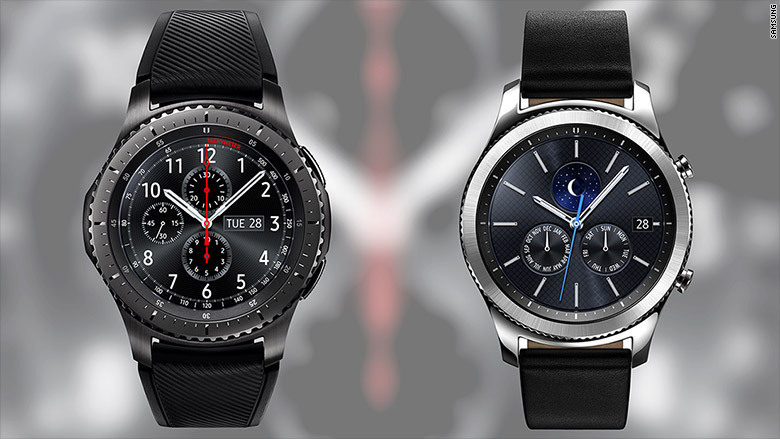 The second best option for smartwatches currently is the Samsung Gear family: the newer Gear S3 watches are more powerful, larger (at 46mm), and more masculine, while the 2015 Gear S2 and S2 Classic remain on sale with a reduced prices and are good options for those looking for a smaller (40mm) watch. It's important to know that unlike its smartphones, the Samsung watches don't run on Android: they run the company's own Tizen platform. It runs smoothly, but does not feature as many or as high quality apps (which might not be as important for a watch as it is for a phone). 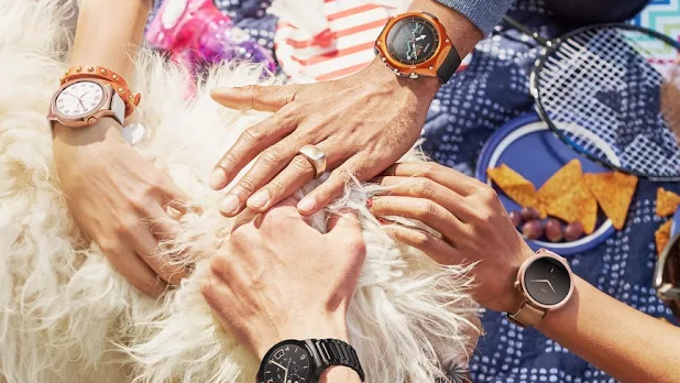 The Samsung Gear watches win big points for their style and appearance, solid build quality, and two-day and longer battery life. Huawei nails it right on the dot with its first Android Wear offering in the Huawei Watch. From its premium design, to the sharp display, and its responsive performance, there’s really very little to not like about it. Well, there is just one thing actually – its price. Stickered with a $350 base price, one that gives you a stainless steel case model with a black leather strap, it’s $50 more than the comparable 2nd generation base model of the Moto 360. And if you’re not content with the way the base model looks, going with any of the other more premium combinations warrants a considerable price increase. In fact, an all-metal black stainless steel casing with a matching stainless steel link band incurs a price of $449 – while an all-rose gold Huawei Watch fetches for $800. The second edition of the Moto 360 is now more than a year old, but it has proven to be a relatively well-performing watch and where it scores extra points is for its stylish appearance. It also comes in two sizes: a 46mm one for men and a smaller, 42mm version that comes in a variation designed for men and another one (with a smaller strap) for women. 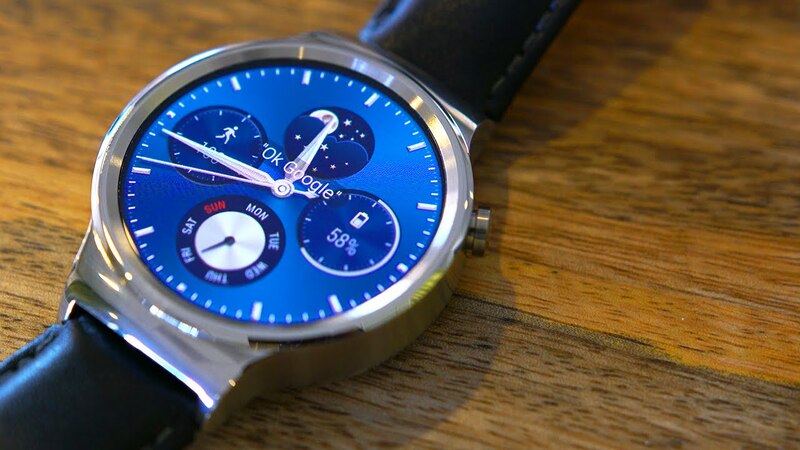 It's one of the most stylish and good looking smartwatches - one of a few round ones - and you can customize its looks to a great extent via Moto Maker (you can select details like knurled bezels). You can get it with either a leather or a metal band, plus the body itself is made of sturdy metal. The Moto 360 is an Android Wear smartwatch, so you also get full access to one of the richest ecosystems of apps for wearables. Pebble smart watches have always been an outsider: the company tried to make metal watches, but its watches never were something of special style. 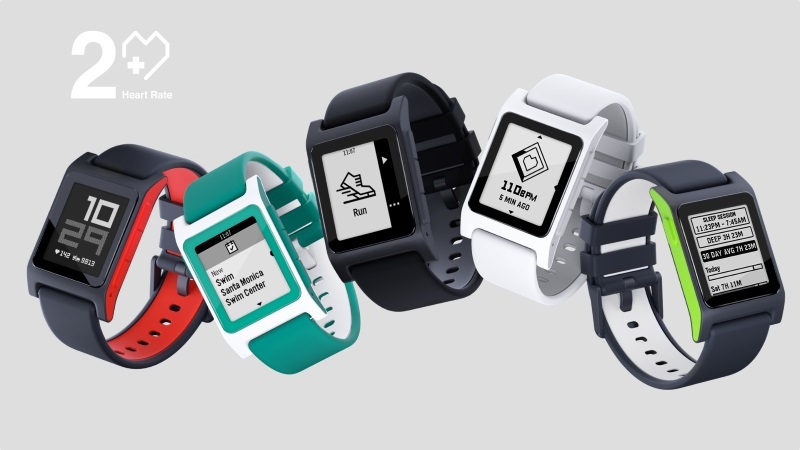 Pebble watches are about function, price and sport. And yes, outstanding battery life too. While Apple Watches and Samsung Gears only last two or three days at the very longest (and usually much less), a Pebble can last you up to a week. The Pebble 2 and Pebble 2 SE (the same watch without the heart-rate monitor) are available for the best prices you can get on a reliable wearable: $130 and $100. Yes, they are plastic and they look cheap, but Pebble has improved its interface, has assigned quick action shortcuts to all the three side buttons, and has made the Pebble a great device for fitness tracking. And yes, the Pebbles run on both iPhones and Android, and feature one of the best selection of apps. Fitbit has made a huge step out of its comfort zone of fitness trackers and into the smartwatch market with the Fitbit Blaze. 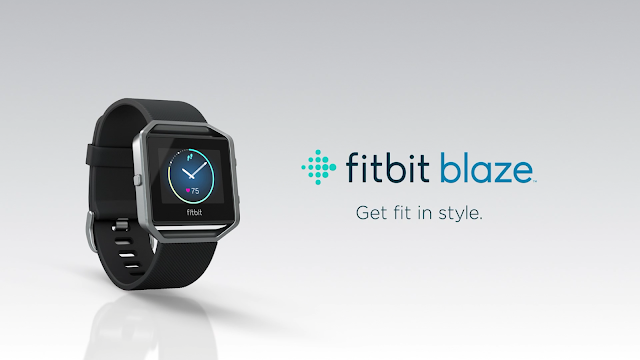 Equipped with a color touchscreen, continuous heart rate tracker and on-screen workouts, as well as an on-board GPS, the Fitbit Blaze is not only a fitness tracker per se: it connects to your smartphone to relay you info about incoming calls, text messages and calendar events. Does this make it a smartwatch? Not when it comes to battery life: the Blaze lasts up to 5 days on a single charge, so you can easily wear it at night to see the quality of your sleep.